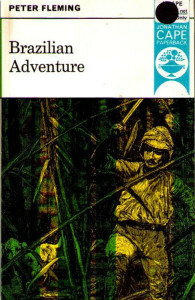 Peter Fleming’s ‘Brazilian adventure’; very little machete work involved, as it turns out. Yes, that Fleming; Ian was his brother. Far less of an armchair traveller than his bestselling sibling (who plotted many a Bond mission from the safety of his swank Jamaican digs), Fleming-the-lesser-known rambled through Asia and South America in the inter-war years. While I’m not usually a fan of travel writing—a very cosy genre in spite of the many hardships its authors encounter—Fleming’s Brazilian adventure (1933) is a real treat. Answering an advertisement in the Times Agony Column’ Fleming joined a team of amateur explorers setting off for the wilds of Brazil’s Matto Grosso in search of Colonel Fawcett, a hunter of lost cities who had himself disappeared. Fleming’s only qualifications were his youth and a public school education; after all, he remarks, ‘by Agony Column standards an Old Boy is worth two young men’. A story that could easily have been a pastiche of H Rider Haggard and the Boys Own Paper turns out to be a sardonic deconstruction of the familiar figures of exotic lands, heroic chaps and neo-Arthurian quests. Fleming bursts bubble from page one. 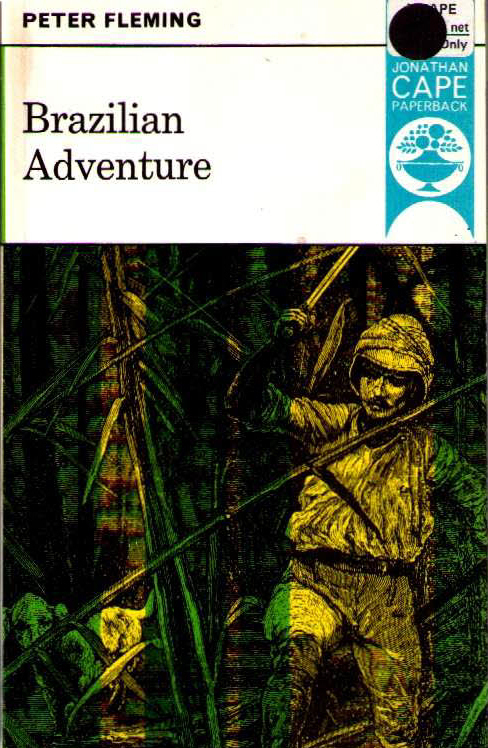 Dismissing the ‘paraphernalia of tropical mumbo jumbo’, Fleming asserts that ‘nothing of importance was achieved’ on his 3000-mile journey and that ‘the dangers which we ran were considerably less than those encountered on any arterial road during a heat wave’. And this sardonic hosing-down of the rhetoric of high adventure is kept up for the remainder of the book. Fleming and his companions commenced mocking the literary conventions of the travel and adventure genre even before they left London, adopting the strategy ‘apologetically draping’ all manly exploration jargon ‘in inverted commas’. As Fleming marches deeper into the wilds, he crushes trope after trope under his heel; without a guide, and with less than a week’s food, he notes that ‘The days that now followed were the best I have ever known’. I suppose everyone, at one time or another, finds themselves in places which seem to belong nowhere, which they visited only by chance and where nothing happened to them; and which nevertheless they remember with a kind of dream-like vividness … I know that the only thing I am capable of forgetting about that day at Santa Amaro is its meaninglessness, its complete unimportance. And this, perhaps unwarrantably, I have now recorded. Fawcett and his party were not found, of course, though Fleming learned enough of the terrain and its inhabitants to confirm suspicions that starvation (or perhaps murder) were their undoing. No lost cities were found, no epiphanies were experienced … not at dawn, or dusk, nor even upon a mountain summit. The best Fleming can say is that, while ‘reality is a commodity hard to come by … there are days and circumstances in which, when one looks back at them, it seems as if reality was not as far away as usual’. With that, Fleming concludes, ‘I said good-bye to the jungle. I bought an evening paper’. Peter Fleming, Brazilian adventure, Cape, London, 1933. My edition, Jonathan Cape, 1964. Coming from the opposite end, many years ago I read a comment by Roland Barthes to the effect that he never feels obliged to finish a book. Somewhere between never starting and not finishing is a comfortable place for the reader.